This Republic Day, look stunning in any of these 6 Indian traditional dresses! Republic Day, a day when the whole nation once again remembers the struggles of the many that gave us our freedom! It is thus a day when we would want to celebrate and be proud as Indians for the many rights we have and enjoy. And in doing so, most of us would attend social gatherings, events and attend formal parties to celebrate the moment. With that being said, have you decided what to wear for the events you have been invited to? It is a day when traditionalism works best, so here are six amazing and very pretty traditional dresses to sport on Republic Day this year. Take a look! 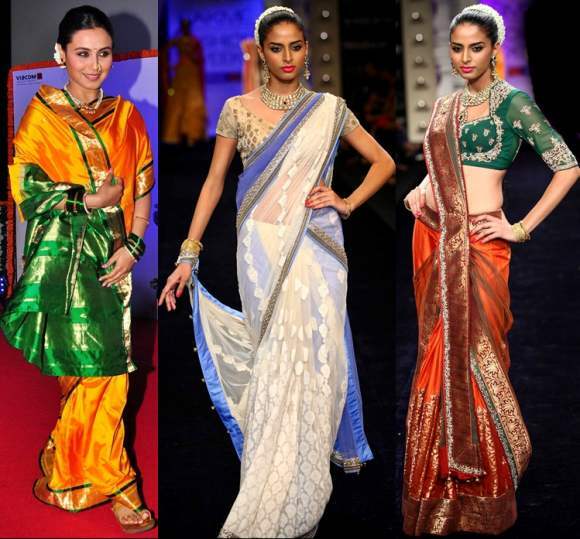 Sarees, and the more we talk about it, the more we fall in love with them. This Republic Day, you could look resplendent like a diva wearing the nine yards very gracefully. There are many more ways to drape the Indian saree as well, and should you choose one, you could go au traditionale representing the state you are born in! If you are stuck to the roots and would want a hint of casualness as well, folklore kurtis then are the fashionable pieces you need to wear and flaunt. Stylish kurtis with embellishments and ethnic embroidery on them or with ethnically embossed designs on the top, can be paired with patiala pants, leggings and straight cut bottoms for a very traditional look to come through. For women in the north celebrating the wonderful Republic Day, Patiala salwars are a must-wear this time. Patiala salwars are an epitome of Punjabi ethnic fashion, and they come in various styles, designs, shades and hues, with our without embellishment and in a range of cuts these days as well. Designer or self-made with the help of the local karigars at work, you cannot but help mentioning how the humble lehenga choli as a traditional Indian dress makes heads turn each time it is worn with grace and glamour. Available for all body frames and sizes, in various cuts, designs and styles or hues as well, the beautiful lehenga choli can be a gorgeous traditional number to flaunt. Nothing beats the beauty of ghagra choli, in all its vibrancy and shades, spanning the note of Indianess in its wraps and garb. 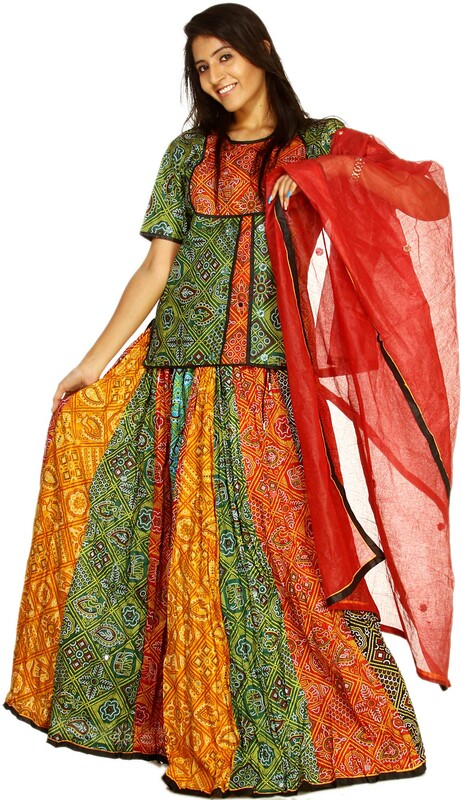 Colorful ghaghra cholis or designer ones, you get to choose and when worn with statement ethnic pieces, can make heads turn at the events you have been called to. To add a little new-age touch to the traditional dhoti worn by Indian women in some parts of the nation, you can ramp up the siesta wearing the ensemble piece with cropped cholis, embroidered blouses and chunnis, and with statement neckpieces too. 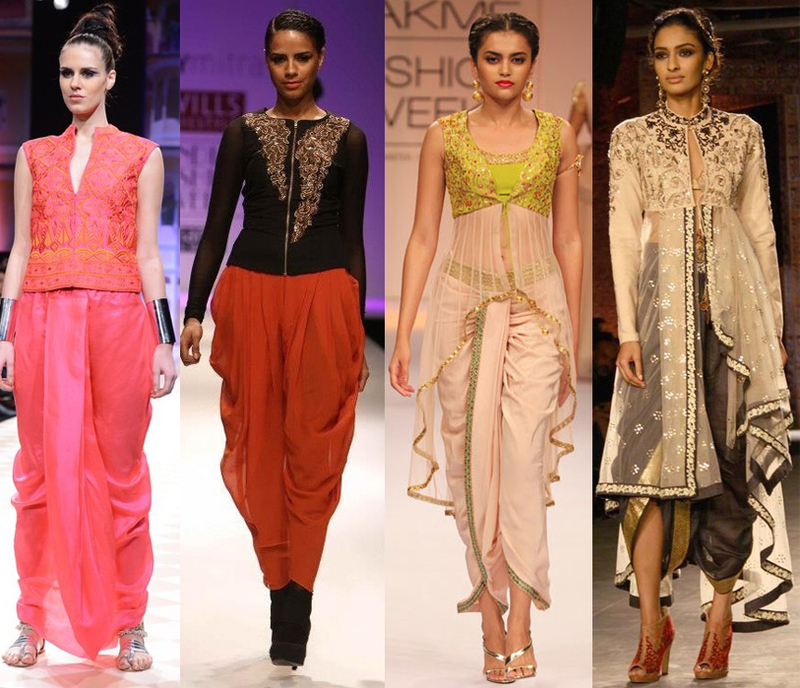 Also known as dhoti pants, our Bollywood girls have been flaunting them a lot in 2016, and its time for you to flaunt them with a twist. 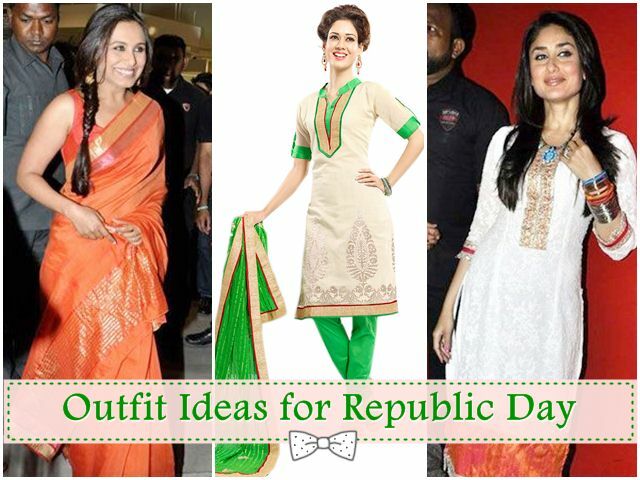 Make a memorable fashion statement this Republic Day!